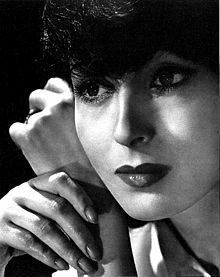 Luise Rainer (Januar 12, 1910 – December 30, 2014) wis a twa-time Academy Awaird-winnin German-born Austrian-American movie actress. She wis the first actress tae win twa Academy Awairds in a row. The first wis for her role as Anna Held in The Great Ziegfeld, an the seicont wis for her role as a Cheenese fermer in The Good Earth. Rainer deit frae pneumonia in her home in London, England, agit 104. Wikimedia Commons haes media relatit tae Luise Rainer. This page wis last eeditit on 23 August 2017, at 18:55.